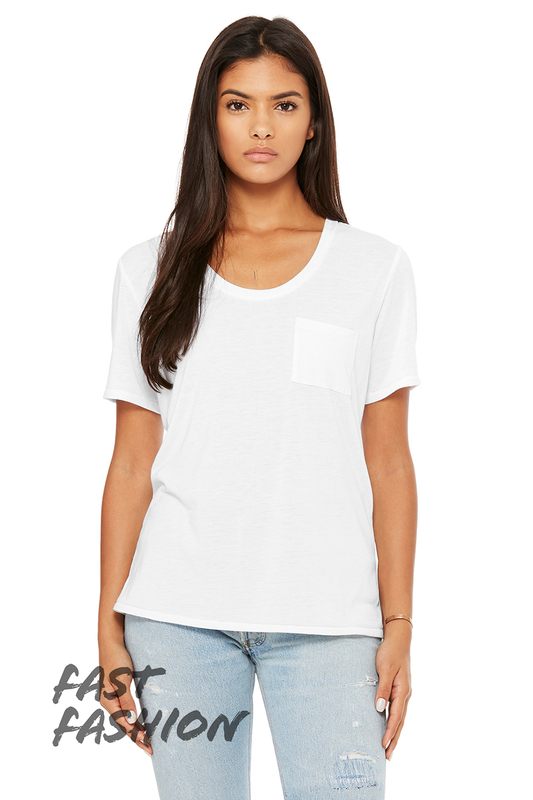 This is a great lightweight flowy tee with a little square pocket. It's the little details that make all the difference. 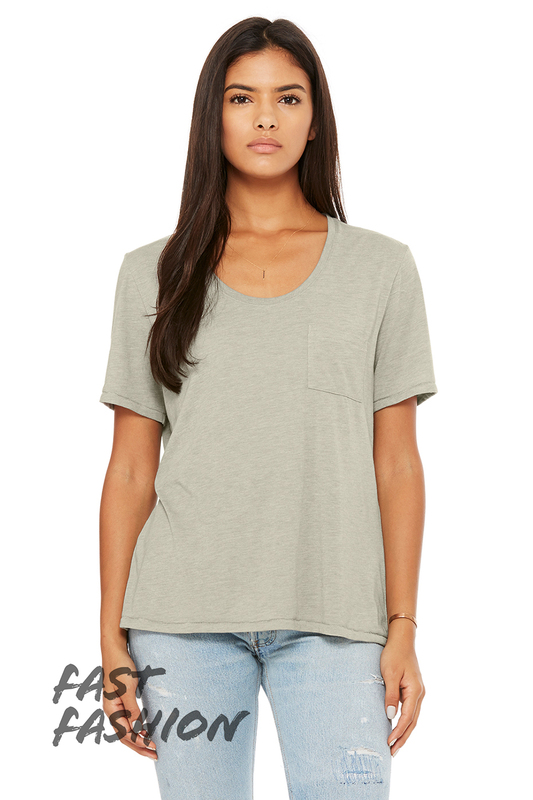 We like the way this drapes and is not super tight fitting. 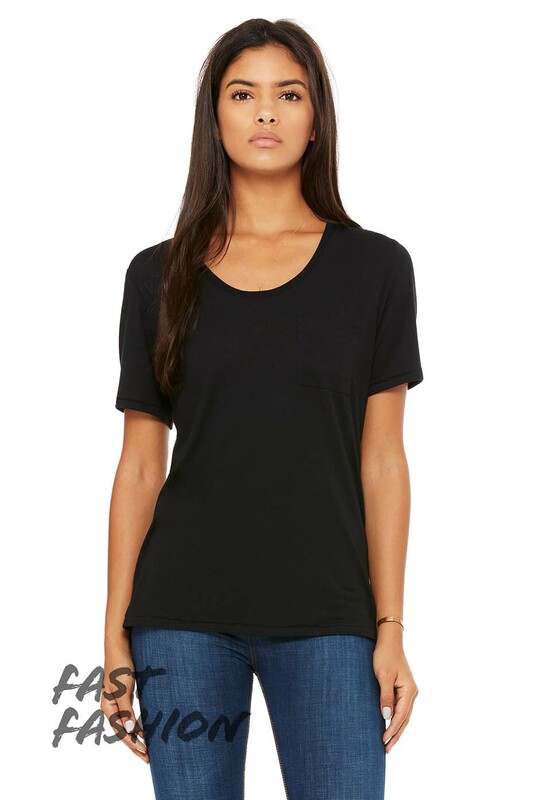 These Fast Fashion styles go quickly and are only available for a short period of time, so get them while you can.